HEAR FROM PAST AND CURRENT CLIENTS! Are you wondering what it's like to work with me as your mentor and coach? Hear from amazing women who took the leap and invested in their dreams! "I'm so grateful I decided to work with Michelle. 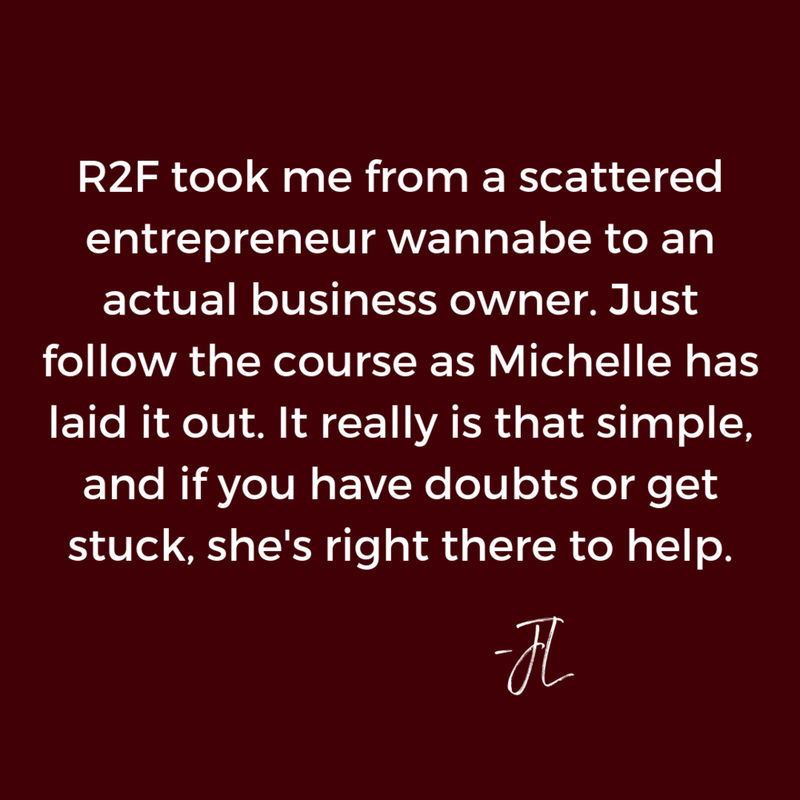 It's always tough to know how and when to invest in a business, but the day I started my 90-day intensive, I booked two new clients for the precise amount I invested with Michelle. Not only that, but within a week, I also pitched a new service and fee for the first time. I know I would not have done that without Michelle's encouragement. The ninety-minute call was amazing. I wasn't sure we'd be able to cover everything I wanted to, but Michelle kept us on task, while diving deep where needed. She kept detailed notes and recorded the call, so at the end, I had an action plan and felt sure of my next steps. She has responded promptly and thoroughly every step of the way whenever questions arise. Michelle provides the perfect balance of strategy and confidence building, with a contagious enthusiasm. Work with her, now!" Write your own story starting TODAY! “WOW!!! I knew I needed support before working with Michelle but after our 90 minutes I understood exactly how badly I needed the support. She was truly amazing at listening to my ideas, where I am at in my business, and my struggles. Then she helped me form a plan to move forward and START GETTING CLIENTS! During our 30 days, I launched my first online workshop which we then repurposed into a freebie. She walked me through setting up my funnel, helped me stay focused and I signed my first client. YOU HAVE THE POWER TO WRITE YOUR OWN ENDING!